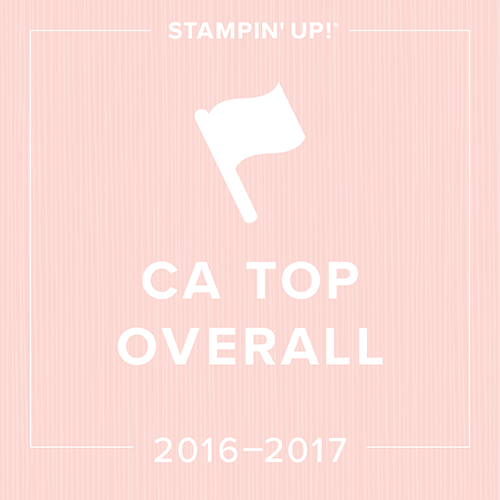 Here is the list of stamp sets on the Last Chance List! Don't miss out... the countdown is on! Make sure to check out the Last Chance Accessories... there are some fabulous deals and these are only available while supplies last! Click on my Shop Now button to check it out! Finally make sure to check out the Last Chance List for the Definitely Decorative Catalog! 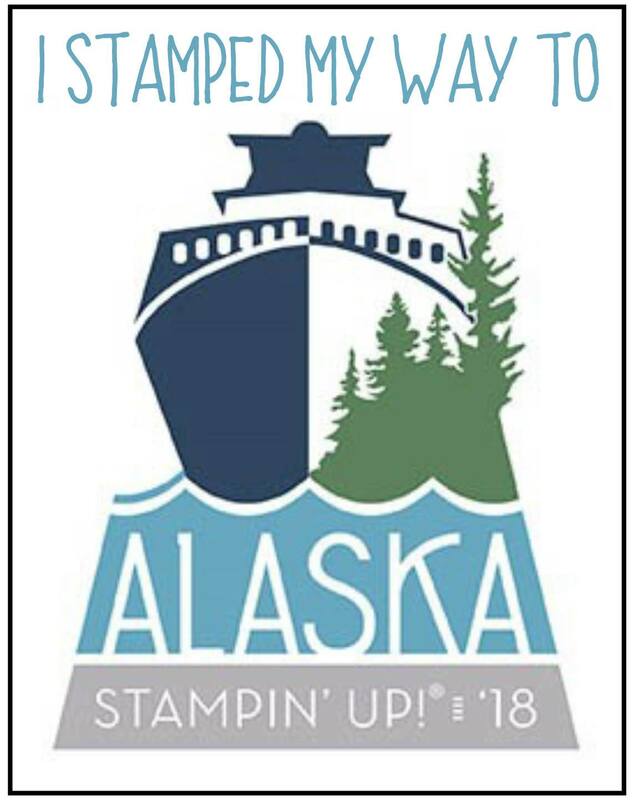 From June 1-30, 2010, you can start your own Stampin’ Up! business for just $119 with the special Mini Starter Kit! The Mini Starter Kit—valued at over $220—contains the items listed below; while all items are recommended, you can substitute a like item of equal or lesser value. The Mini Starter Kit also includes the same business supplies that are in the standard Starter Kit. 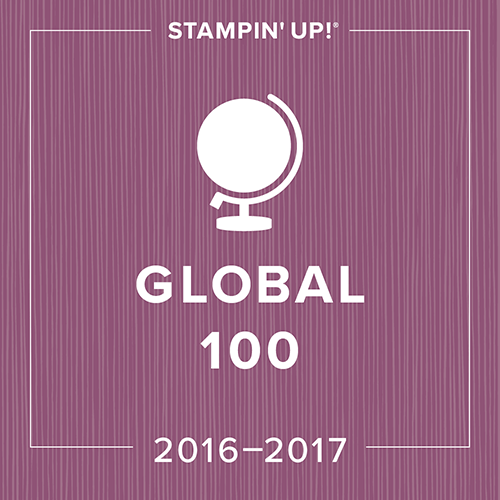 Plus, new demonstrator who join Stampin’ Up! in June, you will receive a free box of 2010-2011 Idea Book and Catalogues during the first part of July! What Did You Do With Your Country Living Kit? 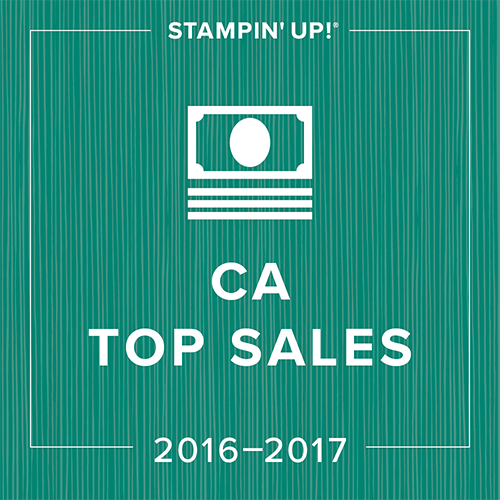 Like anything else with Stampin' Up's name on it... I just have to have it! This was one of those times that I wondered why I had to have it when I picked it up three months later:) So, I sat down and came up with a plan to use it. Included in this package were: 12 Very Vanilla Envelops, 24 Printed pieces of cardstock (5 1/2" x 8 1/2"), a Ballet Blue Stampin' Spot and an adorable little stamp set called Dinner Party. As the promotion is over, I thought it was ridiculous for me to have the pieces lying around. I designed a few quick cards and two hours later I had 24 fabulous thank yous ready to go for my end of year! 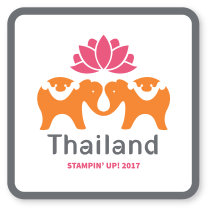 As I've said before, one of the best parts about my involvement with Stampin' Up is the friendships that I've made. Whether it is my amazing customers, my downline, sideline, or upline or just other demonstrators that I've met at Stampin' Up events. It seems that crafters have one thing in common... they are all the nicest people in the world. I received the most beautiful little thank you card from a customer the other day. Somehow I can't get through to my customers that I'm the one who needs to be saying thank you! The second card that I've shown here goes sooooooo far beyond a random act of kindness... more like a random act of GREATNESS!!!! 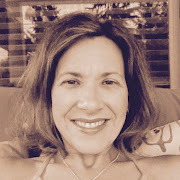 One of the fabulous demos, Jane N. from Hawaii, that I met, did the most amazing thing. I was telling her how in love my sister is with the SU rubber boots that we received at Leadership. I really like to get my sis a special gift at the end of the school year to say thank you with all of her help with my boys. Anyway, a parcel arrived in the mail the other day from Jane!!!! She sent me the boots!!!!!!!!!!!!!! (she had explained that she really didn't have much use for them in Hawaii) My husband and I were floored. THANK YOU JANE:) (watch the mail:) In addition to the boots was a package of Hershey Kisses with Macadamia Nuts and the gorgeous card that she did with the Awash with Flowers stamp set!!!!! I honestly don't know what I would do without all of these wonderful people in my life now! SU just announced that more items are GONE FOR GOOD! I love these new Mini Favor boxes. I think they would be so adorable for a birthday party to fill with little treats for the party guests, or you could use them for a workshop with individual little stampin' spots and a single stamp for your guests! I used the slot punch to create the little hole for the belly band to go through as I liked the looked of the box much better with the little tabs sticking up. The colours on these boxes make me think of jelly beans! Our inventory of Old Olive Polka-Dot 6" x 6" Designer printed albums (item 119833) has been depleted and will be unavailable to order until we receive more at the end of July. This week's Stampin' Royalty Challenge is this fabulous colour combo (Certainly Celery, Pretty In Pink and Rich Razzleberry)! I've been dying to use this set... partially because I'm really lazy and I love any stamp set that has coordinating punches:) I love the way that this card came out... it feels very "new baby girl" to me:) Make sure to go and check out the fabulous creations by the Design Team members, and head on over to Sarah's blog to check out her's! It seems that with the Color Renovation, people are taking the phrase "while supplies last" very seriously. It seems that the following item from the new mini which was listed as while supplies last has sold out in a matter of three and a half weeks! If you've been eying the Bashful Blue Herringbone Album, make sure to order it now! I needed 16 invitations for the parents in my class who have volunteered this year. We do a Volunteer Tea for those amazing parents every year and classroom teachers are responsible for the standard invitations which are photocopied by the office. (Did I hear you gasp in horror too?) I can't bear the idea of those simple invites going home to parents who have been so generous with their time. I wanted something special for my parents, but I also knew that with 16 to make it couldn't be too complicated. When I showed that card the other day that was cased from Gretchen Barron, I decided that these were the right idea! I admit that the one done using YoYo Yellow and Dusty Durango is my ABSOLUTE hands down favourite! With all of the Coffee House cards I was prepping last week, Joe's birthday invitations kept getting pushed aside. When I looked at the calendar lastnight and realized that it was 13 days away, I realized it was now or never! (or I was going to have to buy invitations... ahhhhhhhhhhh) Joe has insisted on a birthday cake that looks like a baseball diamond this time around so I was relieved when it came to the ease of the invitations. It is hard to tell from the photos, but I sponged the cloud background in using a scallop circle scrap and my Bashful Blue Ink. Twelve invitations later and a little driving around today and they are all out! I finally have all of my "to do" items done and the calendar is clear for a few days before my Grade Seven year end events begin to take over my life. I was really looking forward to coming down to my room and just playing with a sketch. I loved the Mojo Monday one this week, so I scanned my new stamps for an image that was the approximate size of the centerpiece and then I was off! Pedaling Past is an ADORABLE set. I will admit that it was not in my initial Summer Mini order, but shortly after seeing samples with it, you can bet I ordered it! I love the sentiment, "Enjoy the Journey" that came with this set. I am always looking for sentiments appropriate for my students card as they leave Elementary school and head off for highschool. The To The Nines Specialty Paper was perfect with the subdued colours. I was a little sad though as I cut up my Sage Shadow cardstock... this one is gone! No more Sage Shadow cardstock left with Stampin' Up. I don't think any of us anticipated how quickly these colours would go! 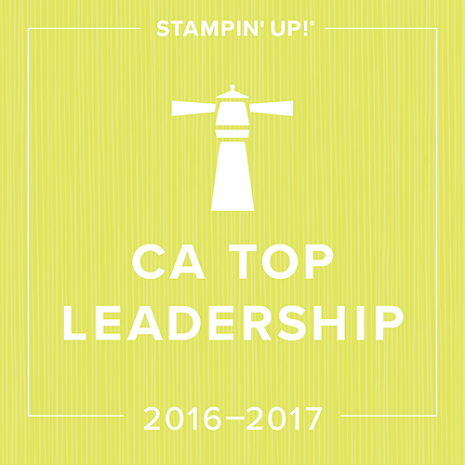 Guess what, the brand new 2010/2011 Stampin' Up! Idea Book & Catalog went on sale today for demonstrators! It is absolutely gorgeous... I had the cover blown up on my screen so that I could look for any hints as to new items:) Customers that order from me frequently, as well as my club members will get theirs free. These catties are shipped to demos in mid June so that we can distribute them to our customers for the July 1st launch. Demos also receive their own complimentary copy when we place our first order in June. P.S. 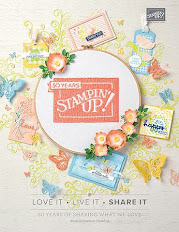 If you sign up to become a Stampin' Up demo starting in June you will get a box of the current catalogs PLUS a box of the brand new catalogs for free with your starter kit! If you are thinking of joining...now is a great time... a discount and a sneak peek at the catty!!! I would love to have you as part of my West Coast Creators team no matter what your interest in SU is (a hobbyist, a business builder, or just for the discount:) Drop me an email or phone call and I can give you all the details to get you started! Only Orange 8 1/2x11" cardstock has now been added to the 12x12" Sage Shadow Cardstock that are no longer available through Stampin' Up! This week's Stampin' Royalty challenge is an amazing sketch! I love it... partially because I am partial to symmetry and this sketch seems to have just enough for me! I also had sooooooo much fun playing with the new Smooch Spritz and the Presto Patterns DSP. I have to be honest, I think that are only two things in the new mini that I didn't purchase; it's that good! Thank goodness for the demonstrator discount! Make sure to come over and play and don't forget to check out the amazing samples from the other design team members! Make sure to go and check out Sarah's blog for more inspiration! Tomorrow is my last day with my Grade Seven students before their big Coffee House. As a result, I've been prepping their final cards for over three hours tonight:) No time for me, but I did manage a little blog surfing before dinner and came across these fabulous cards by Gretchen Barron. I thought that I would give them a quick try, but soon realized that I was out of some of my colours of computer ink:) The stems on this particular digital image are actually green, but I still thought that it was gorgeous. A quick stamp with the Thank You Kindly stamp set and I was done. These will be perfect for the parent volunteers who are helping with Sports Day this week! Colours are Starting to Sell Out! Just a quick note to let you know that 107079: Sage Shadow card stock (12" x 12") is now sold out! It will no longer be available for order. This may be the case with several of your favourite retiring colours as we approach the Last Chance List on June 1st. If there is an ink colour, refill, paper or ribbon that you know that you can't live without, don't miss out! 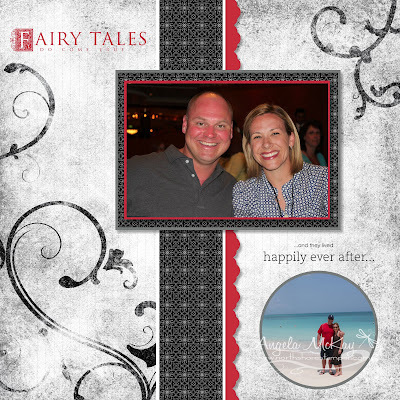 If you haven't got to check out our Stampin' Royalty blog ths week, now's the time! This week's theme is family! Well, there is a light at the end of the tunnel. I'm finally getting caught up with everything that seemed to get pushed back while I was on vacation. I just wanted to let you see some of the fabulous new Digital Downloads that Stampin' Up has released! If you haven't purchased your copy of My Digital Studio, now is the time! You can take advantage of the National Scrapbooking Promotion when you purchase it before May 31st, and choose a set of the following Designer Brads for free! I was thrilled to other day to receive two blog awards. I love knowing that people are out there reading my blog and the fact that you like it makes it even more worth it! I also found out that I got this blog award from an amazing friend Sabriena Satchwell. Make sure to check out her blog as she has some blog candy available until the end of today! 1. I was a dance teacher for 13 years. 2. I love flannel pjs. 3. Peanut M&M's are my favourite sweet! 4. I lived on Slurpees while pregnant with Joe. 5. I'm scared of what's at the bottom of the lake! 6. I knew that I would marry my hubby the first time I saw him. 7. I secretly LOVE rap music! 8. Blueberry Pie is my favourite dessert. 9. I still want my mom around when I'm sick. 10. My husband spoils me rotten! Every year we have a Coffee House at our school in May. My grade sevens make cards and sell them as a fundraiser for their year end activities. I design three or four different cards and every child makes one of each. This is one of the designs that they'll be making this week. I absolutely love cardmaking with my students. The best part is seeing the pride in their faces when their project comes out looking the way that they want it to. (this isn't always the case with standard art projects in Elementary school:) The only difference between the students' cards are that we usually vary the sentiments on the cards. This new Watercolour Trio stamp set is perfect for this as it has a birthday, and thank you and a general greeting. I love it! Info on Retiring Colours.... IMPORTANT! Look What Arrived... and a Gift for You!